This simple strategy game with management elements, interesting quests, and hidden objects will entertain you for several days. Build things, participate in battles, use magic items, and brew potions. A whole world will open before your eyes...a world on the brink of disaster. Strange creatures living in different locations await you. Some of them will help you, others need your help, and others will take a liking to your head...or, rather, your fresh brains. You will visit quiet villages, snow-capped mountaintops, impenetrable forests, and foul-smelling swamps. But one thing will remain the same - adventure awaits you everywhere! Collect everything that isn't bolted to the floor. Dwarves don't mind work, but they won't lift a finger if they don't get normal food. You can't build a mill out of sh*t and sticks, so you'll have to search for the appropriate material. Keep food stocked and your world will expand! Build bridges over turbulent rivers, build docks in the swamps, repair buildings, and build new ones. Mills will provide food, sawmills will provide building materials, forges will improve equipment - and you can always sell the surplus at the market. All building styles and colors await you in the game. The people living in this world have always had many worries, and recently they've had more than usual. Try to help everyone, and the reward will be forthcoming. You can also always count on what's most important: sincere words of gratitude*. * Computer game characters don't have real feelings or minds. You can get much further with a kind word and a sword than you can with a kind word alone. Hire experienced soldiers, upgrade their armor and weapons, fight, and conquer. Solve all problems as effectively as possible. Not enough food or materials? Is your crew dying from their wounds? Did the workers decide to create a union? Magic items and potions will remedy the situation! Save up your gold, complete quests, and open chests. There are many ways to get magic items. To content makers: If you have created a video, article, or any other type of content concerning our game, please let us know. We are grateful for any feedback and will be sure to put a link to your content on our site and on social media. Many thanks to everyone who has played our game and given us feedback about it! We have read everything carefully and will take your words into consideration when doing further development. We would be happy to continue hearing your opinions. What do you like, and what is annoying? What would you like to see in the final version? We look forward to your reviews here, on Facebook, or YouTube. 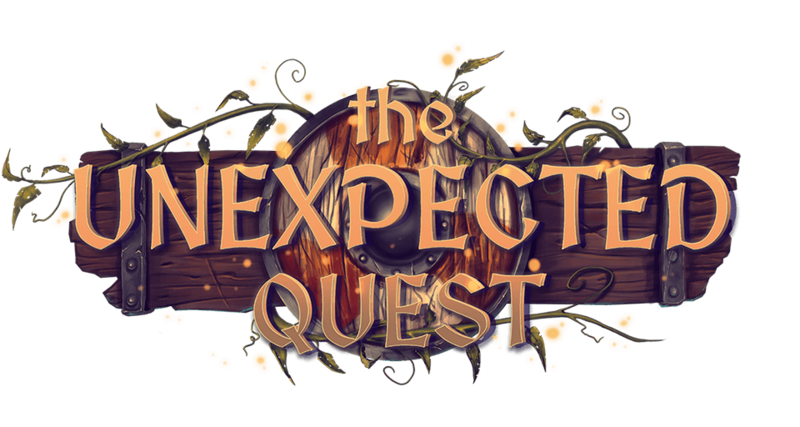 The Unexpected Quest v.0.2.3 released! The Unexpected Quest v.0.2.0 released! The Unexpected Quest. Devlog #2. The Unexpected Quest. Devlog #1. Full walkthrough of the demo level. StickyPlease read first! To content makers. StickyPlease read first! To all our players.